Wake Up To Cash – Scam Exposed? Read My Review Before Signing Up! You’re led to believe that the system’s been put together by a guy named James Wendell but there’s a few things (aside from the crazy income claims) that will likely make you pretty sceptical about the whole thing… So what’s the deal, is it actually legit or is Wake Up To Cash a scam that’s just set out to take your money rather than help you make it? What Exactly Is The Wake Up To Cash System? But the first red-flag I’ll point out is that the system hasn’t been put together by James Wendell at all – it’s actually been put together by a guy named Corey Lewis, an internet marketer known for creating several other similar systems. Copy Paste Traffic was another program he allegedly created (according to a source on the Warrior Forum) & the customer who purchased it who left a review on the forum claimed that it was nothing but a flat-out scam. Anyway, the way I was able to determine it was actually Corey’s product & not James Wendell’s as you’re led to believe was by taking a look at where the sales video was hosted. And I can also tell you right from the off that Wake Up To Cash is certainly not what it seems. The only reason it’s been launched is to make Corey cash, not you – and if you buy into you likely won’t see yourself earning so much as a single penny as a result. How Does Wake Up To Cash Work? Basically the Wake Up To Cash system isn’t actually a system at all – it’s just a page that Corey has put together in order to funnel you through to various opportunities that he’s affiliated with so that he can earn a commission at your expense. 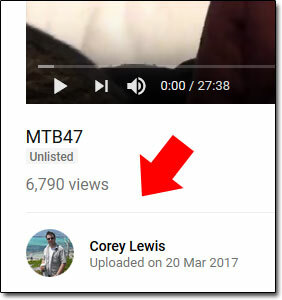 The video he’s put on the page is simply designed to get you really hyped up about the potential opportunity of making easy money online, then once you’re finished watching it a button appears below it which redirects you through to one the programs Corey is affiliated with. 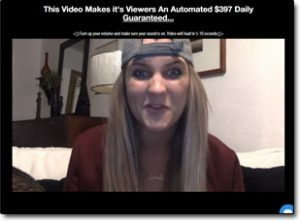 For example at the moment that particular button is redirecting visitors through to the Automated Daily Income system which is a scam I previously exposed on this blog – but tomorrow it will likely be redirecting to an entirely different system once again. It seems he’s just picking the opportunities based on which ones pay him the biggest commissions & not based on the value that they actually provide to you as a customer so you can’t trust any of the sites of you’re redirected too. 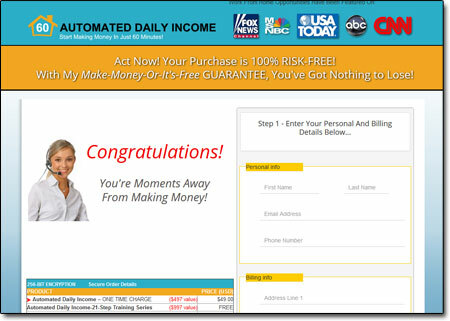 Like I say the Automated Daily Income system for example was a massive scam which I exposed here. If you were to get caught out by it then it could see you potentially out of pocket by over $50,000. Can You Make Any Money With It? Truth be told, no you can’t – the programs that are recommended to you through the Wake Up To Cash website are just totally rubbish & it’s unlikely any of them at all will actually help you to make money. As far as I’m concerned Corey is just picking him the programs that are paying him the biggest commissions, so he’s not really interested in your success – he just wants to make as much money from you as possible. What you can do though is make money the same way Corey is, by promoting products as an affiliate – though obviously not scam products like he is. You can actually affiliate yourself with almost any company you like, even big names like Amazon & Apple have affiliate programs so if you wanted to promote their products for money could. To learn more about affiliate marketing & to get everything you need to start making money with it I suggest you check out Wealthy Affiliate. That’s one of my top recommendations for people looking to legitimately make a full-time income online. My Verdict – Is Wake Up To Cash a Scam? Well the Wake Up To Cash website itself isn’t a scam – to be honest it’s nothing at all, it’s just a page with a video on that then redirects you to other programs on a completely random… But the programs that it redirects you through to from what I’ve seen are scams yes, so I’d definitely advise avoiding it. It looks to me like the whole thing has just been setup to make it’s creator wealthy at your expense. Whilst what you’re told through the website sounds like a dream come true, the reality is the programs you’re redirected to will likely see you losing money rather than making it. Therefore overall I’m not going to be personally recommending it because I don’t think it will provide you with any real value & frankly the whole things just totally misleading. There are many legitimate ways you can make money online – you don’t need to waste your time with a bogus system like Wake Up To Cash. Is USI Tech a Scam? Read My Review!